Saara Salmi and Marco Melander take us BEYOND time discussing why nostalgia fascinates so many and how the past is always perceived through the lense of current views. 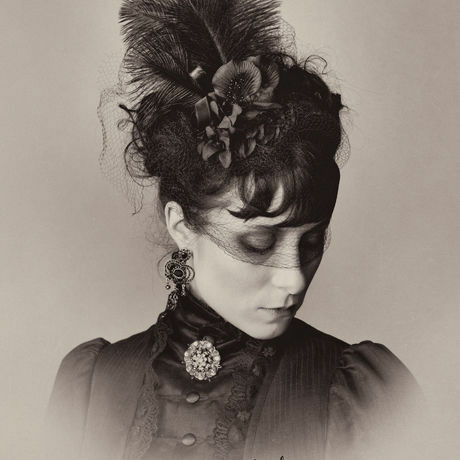 Have you come across Victorian looking black and white portraits of your friends ? They are the makings of Atelieri O. Haapala, a collaborative art project by Helsinki-based photographers, a married couple, Saara Salmi are Marco Melander. Their portraits draw inspiration from the visual realm of the 19th and the 20th century. The duo will take us BEYOND time discussing why nostalgia fascinates so many and how the past is always perceived through the lense of current views. When they started in 2008 Marco had been working in advertising and was hoping to do something more artistic. Saara was working at the National Board of Antiquities and was inspired by their picture collections. The project came to an end in 2016 but they both still work in photography. Marco is currently a freelance photograph and Saara a digital artist.